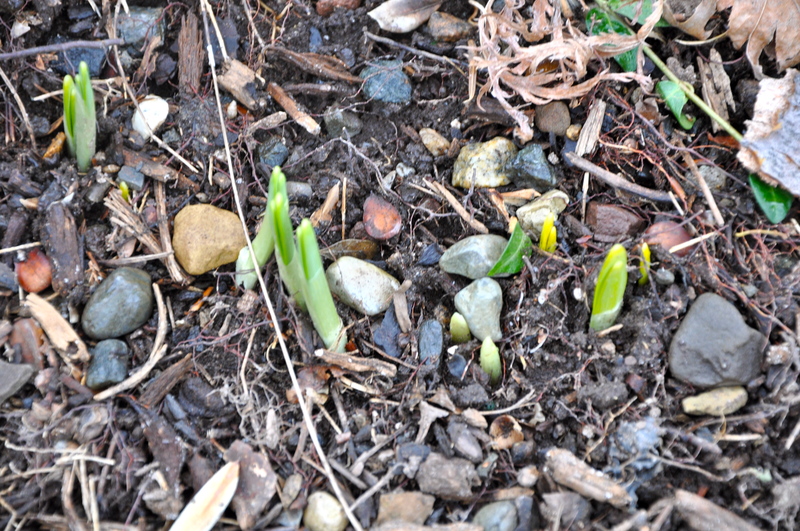 Spring in Northern New Jersey: It’s Coming! 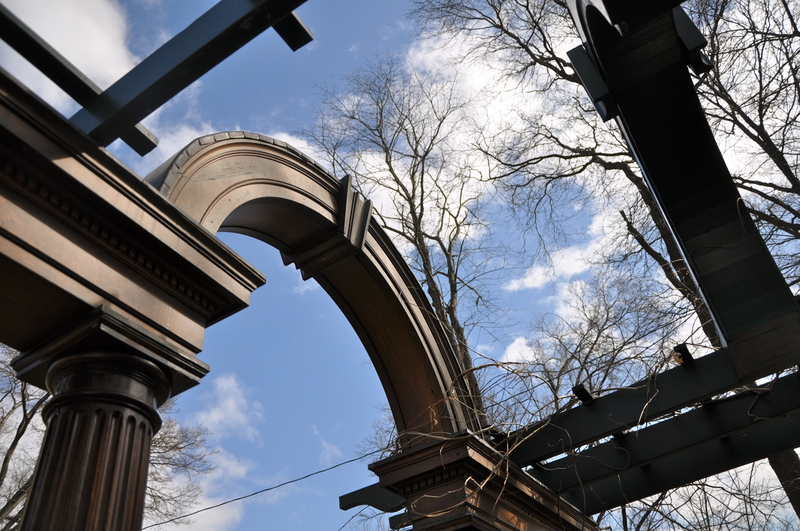 Take a look at the sky from under the pergola; that's a Texas purple wisteria on it. Today the weather is mild here in Northern New Jersey so I took my Nikon D90 out into the yard to see if I could find signs of spring approaching. And, thankfully, the answer is “yes, I did.” It’s been a very long, snowy, ugly, back breaking winter around here and I want to see the end of it. Now. Snowdrops and witch hazels pop out at about the same time in my yard! 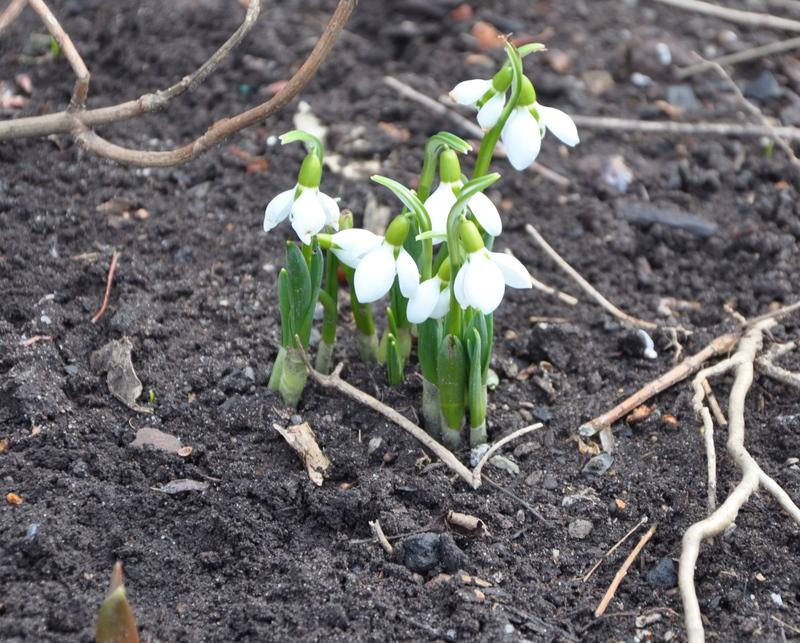 Don't the snowdrops look ballerinas in their white, white tutus? 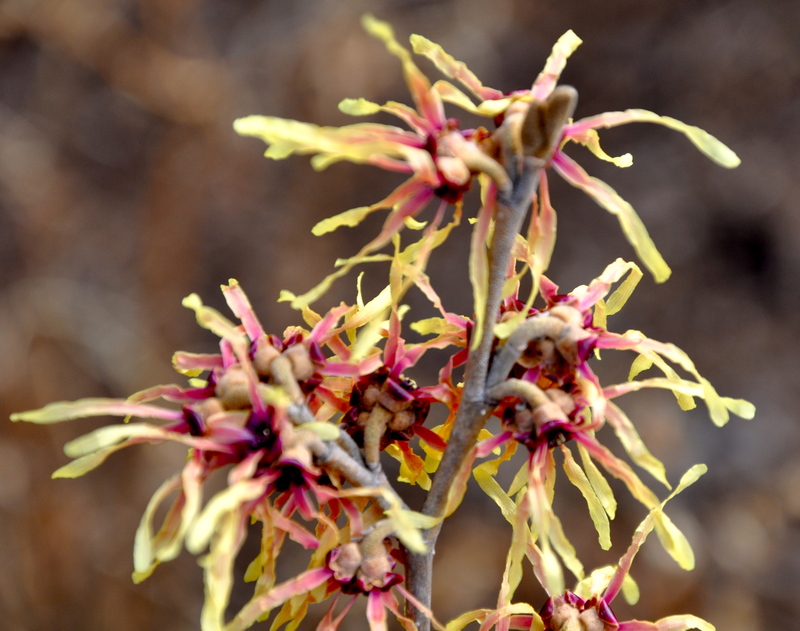 The witch hazel looks like a party on a branch! 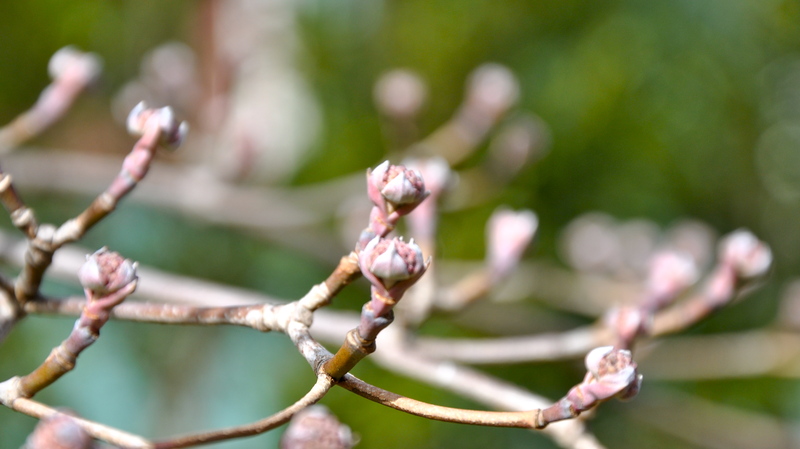 The dogwoods are cautiously optimistic spring is coming. 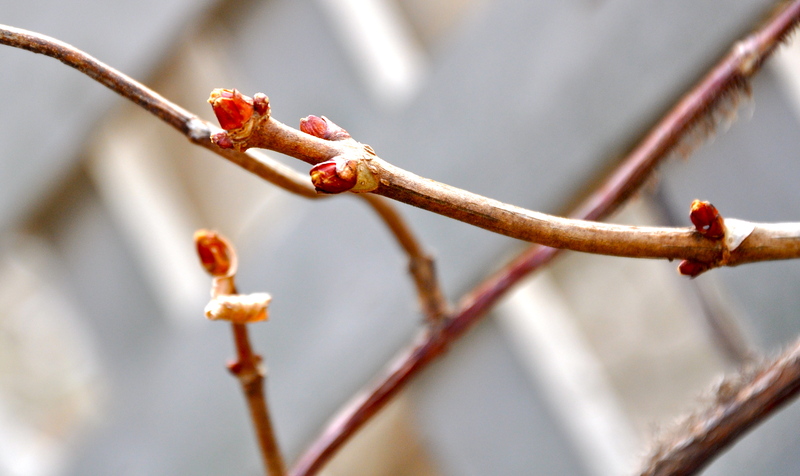 The climbing hydrangeas are slowly, but surely waking up. 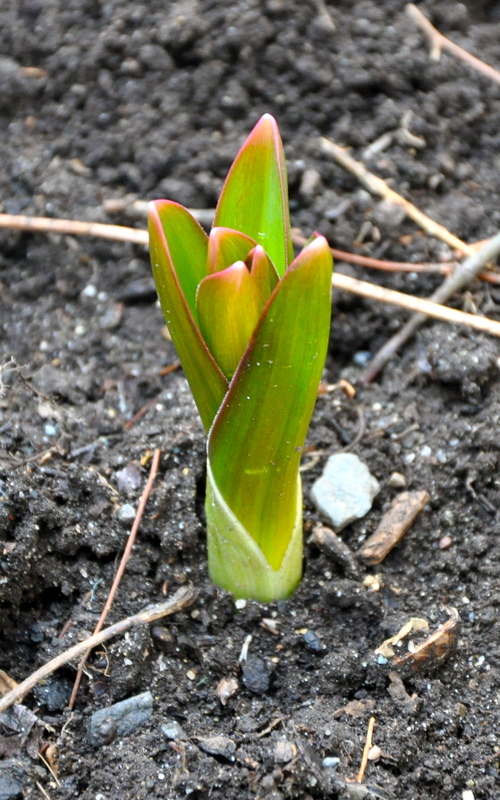 Bulbs are some of the first harbingers of Spring! 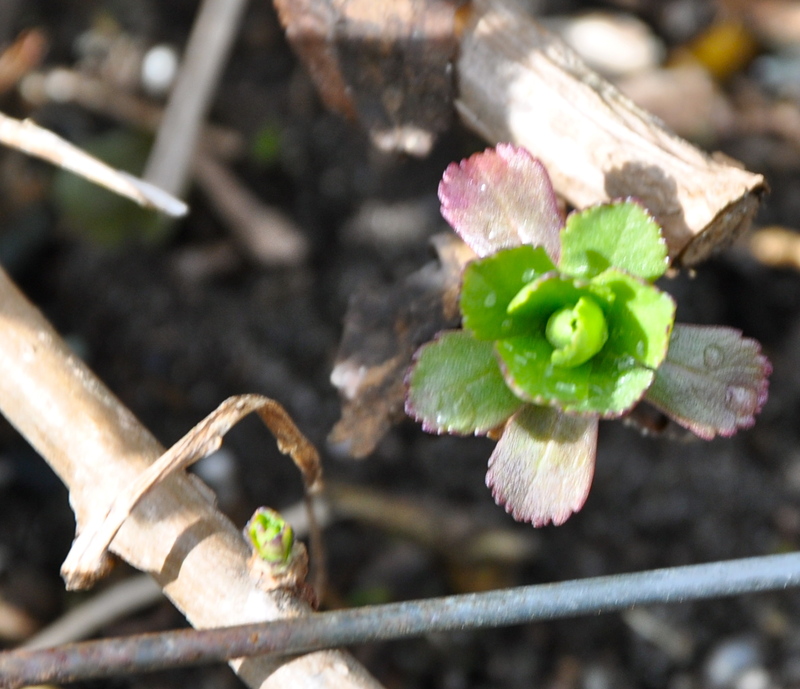 and the first leaves of the chrysanthemum open. Spring green is an evocative color name, don't you think? Goodness! You are SO far ahead of us weather wise. I’m wishing I were in Jersey right now. Although our snow is melting today, it’s still been terribly cold and very much winter. Enjoy your signs of spring. Please keep sharing them to give us arctic dwellers hope. I wish I could send some of my signs of spring your way; I know you’ve had it tough this winter! Keep heart! I am sooooo jeealous!! There is still about two feet of snow on my deck and more than that out in the field….so I am guessing that we will see green shoots perhaps about August…..
Maine is definitely slower to thaw. I have been basking in my sunroom, looking at my seed catalog and day dreaming.